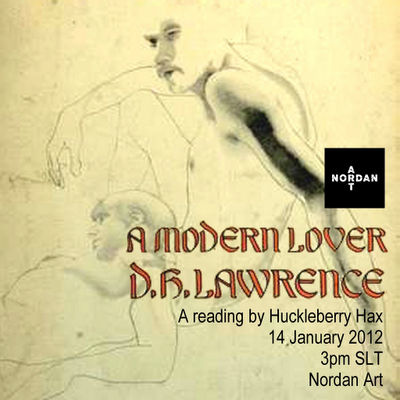 I'll be reading 'A Modern Lover', a short story by D H Lawrence (which you can read online in advance here), on Saturday 14 January at 3pm at Nordan Art. Hope to see you there, and be sure to spend a little time following the reading looking at some of the wonderful exhibits. The current exhibition, which runs until 23 January, features work from Alizarin Goldflake, Piedra Lubitsch, Robin Moore, romy Nayar, Scottius Polke and Stephen Venkman. 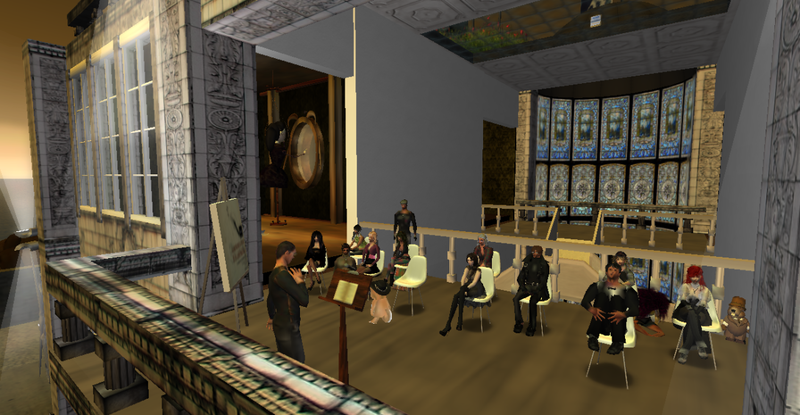 This was a really great event, attended by more people than I'd expected. At one point, the sim was full and people were unable to get in. Thanks to everyone who supported the reading, and for your lovely feedback at the end. 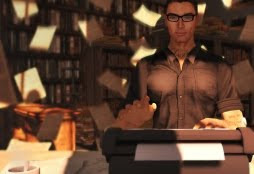 Picture below from Flora's review.